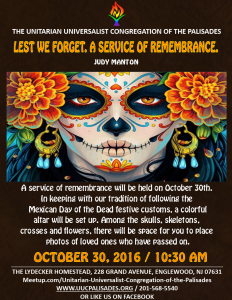 Please join us for today’s service led by UUCP member, Judy Manton. 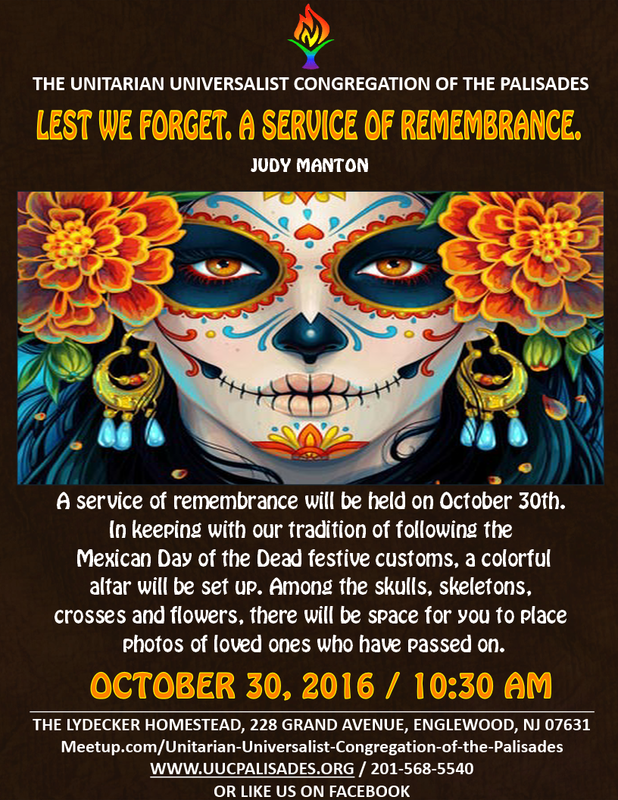 A service of remembrance will be held on October 30th. In keeping with our tradition of following the Mexican Day of the Dead festive customs, a colorful altar will be set up. Among the skulls, skeletons, crosses and flowers, there will be space for you to place photos of loved ones who have passed on. Bring a friend and stay for coffee and light refreshments. We look forward to seeing you!